Honestly I have no idea how this came to mind. ROFLMAO! OMG, I'm gonna' cry I'm laughing so hard. Love it! This is a scream. I saw this and my first thoughts went straight to the A-Team and Murdock yelling "Trash Bags!". Love the jewelry and the hairdo. So funny. Good luck! 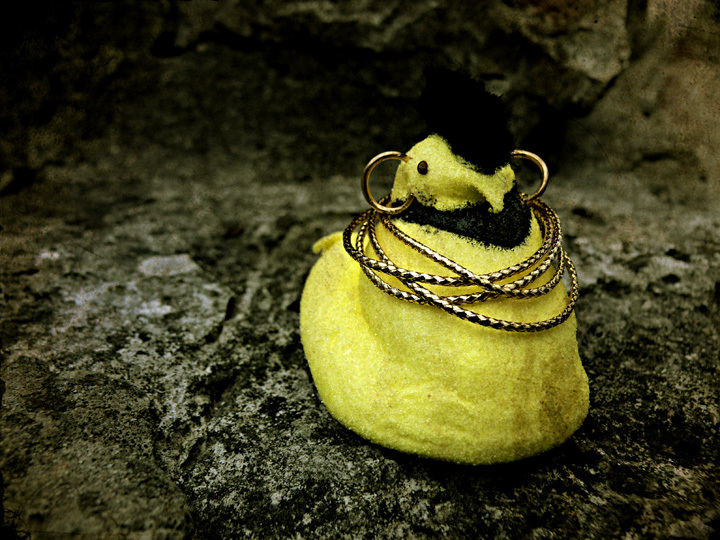 A Mr. T peep?? too funny! Alas poor Mr T - I never though he would come to this . . Very creative, this picture is great. The colors, comp, dof, and clarity are all very nice. Well done, 10. LOL!! Mr. T....or is that Mr. P.? LMAO...this is creative! LOVE the title too! That is hilarious! I was bit confused at first until I read thetitle and Aimee and I busted out laughing. Welldone. Great take. Never would have thought about taking this road in a mill... well - never. lol -- I love it! Proudly hosted by Sargasso Networks. Current Server Time: 04/25/2019 07:55:48 AM EDT.